Zambia and Gabon will face off in a friendly match in Libreville tonight. The two teams have met 8 times in history and this will be a second meeting for the two countries since Zambia won the African Cup of Nations in 2012 on Gabonese soil. Zambia was four wins, Gabon two wins while the other two games have been draws which have been the most recent games in September 2015 and June 2017. 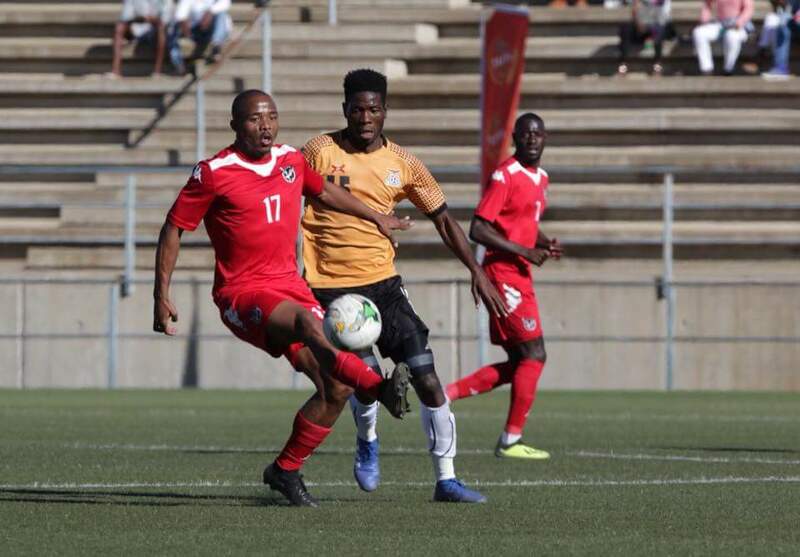 It will be a much changed Zambia side from the side which drew with Namibia on Saturday. Orlando Pirates’ Augustine Mulenga is one of the five players who pulled out of tonight’s friendly game against Gabon. The others are Kennedy Mweene TP Mazembe trio Rainford Kalaba, Kabaso Chongo and Nathan Sinkala. Toaster Nsabata who has had a poor season at Zanaco will replace skipper Mweene in goal while Isaac Shamujompa should come in for Kabaso and partner Stoppila Sunzu who is expected to captain the side. 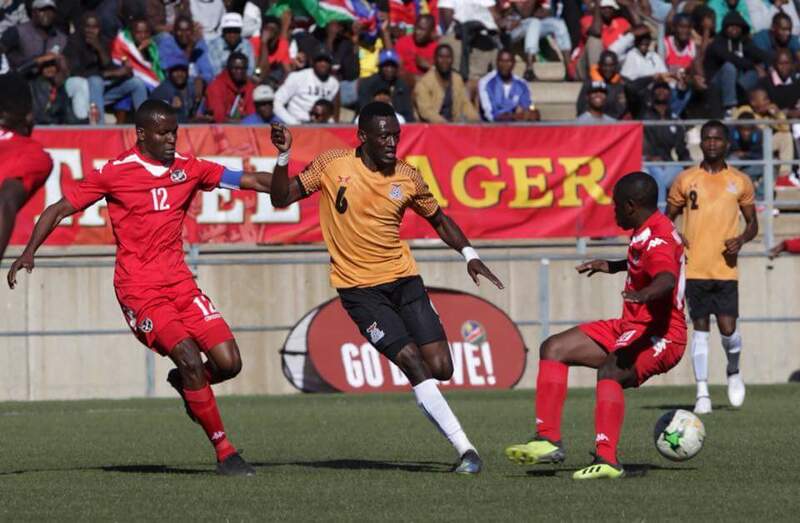 Chipolopolo Boys coach Sven Vandenbroeck has option of slotting Solomon Sakala in central defence. Sakala might make way for Gampani Lungu or Gideon Sichone at right back. At left back, Lawrence Chungu will continue. With Rainford Kalaba and Augustine Mulenga ruled out, Fashion Sakala might start on left wing despite his below par performance against Namibia. There’s also a possibility of Clatous Chama starting wide on the left and that could leave Fashion on the bench. Enock Mwepu will finally be given the chance to show Vandenbroeck why he is fans favourite as he is set to start after he was snubbed against Namibia. The 20 year old will be in a more advanced role than Salulani Phiri. Depending on how Vandenbroeck decides, Jack Chirwa could come in and be the extra body in the middle of the pack. The other option is to play Clatous Chama in the hole with Mwepu and Salulani at the base of the triangle. Orlando Pirates striker Justin Shonga is favourite to start ahead of Patson Daka against Gabon tonight. The 22 year old came off the bench to rescue a point for Zambia on Saturday. Zesco United’s red hot striker Lazarous Kambole is also set to get a run out. Should Sven Vandenbroeck decide to go with a 4-4-2 formation then two of those might start but looking at the opposition, the gaffer is likely to opt for a lone striker. Zambia Probable XI: Toaster Nsabata- Solomon Sakala, Isaac Shamujompa, Lawrence Chungu- Salulani Phiri, Jack Chirwa, Enock Mwepu – Lubambo Musonda, Justin Shonga, Clatus Chama. This sakala guy(solomon) was the weakest link in the Namibia tie, i wonder why he is still a darling of many.Even at Zesco he is problematic.Let us find the right wing back and not this sakala guy full of school boy errors. Awee… why tutamba negatively. Solomon was probably the man of the match. 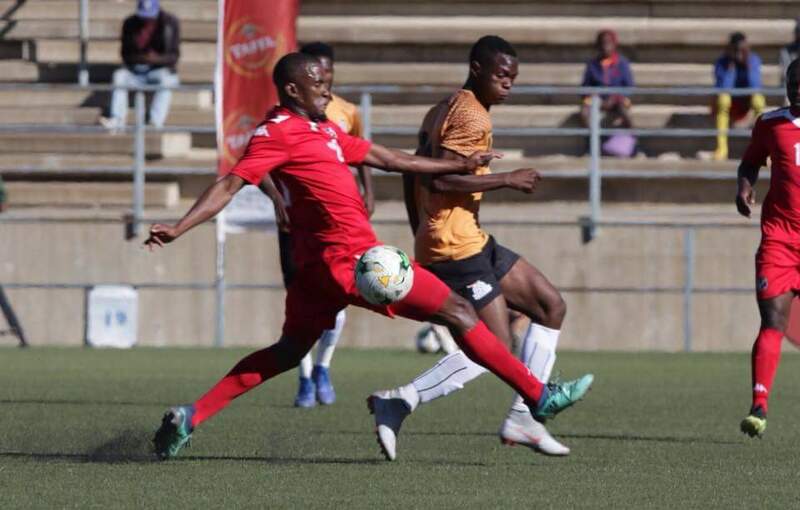 Namibians capitalized so much on solomon sakala’s area and made sure they exploited it to the fullest such that even their goal came from his wing. Gabon 0 Zambia 1. 30 minutes played. Justin Shonga scored on 16 minutes. Zamfoot, no line up no updates ninshi? Pantu twali drawer? Thank Admin, thats why I love Zamfoot. Cheeeeers!!!!!!!!!!!!! Forgot Bruce, such a wonder talent. Justin Shonga was again on target to help a much changed Zambia side to a 1 nil over Gabon . Justin Shonga need to be starting from now going forward. Time to have people that are in top form and I am sure the coach sees that and will be able to make those adjustments come next month. Start Just Shonga with Kambole upfront with Patson Daka coming in as an impact player. WHO WAS THE CAPTAIN, AND WHO SUBSTITUTED FOR WHO? A white man is able to see. I HOPE THE FRIENDLY GAME AGAINST GABON GAVE THE COACH AND THE ENTIRE TECHNICAL PANEL AN IDEA OF WHAT THE STARTING LINE SHOULD BE EXPECTED AGAINST IN THE RETURN MATCH AGAINST MOCAMBIQUE. IT’S A MUST THAT THE CHIPOLOPOLO TEAME BEATS MOCAMBIQUE TO KEEP THE THE CHANCES ALIVE.